That’s right. 18 heads and 8 skins. Every combination. All in one photo. You’re not the only one who is exhausted by trying combination after combination, taking gayazos to remember your favorites, attempting to compare them side by side, and not remembering which skin is which. Don’t worry girl, I got you. 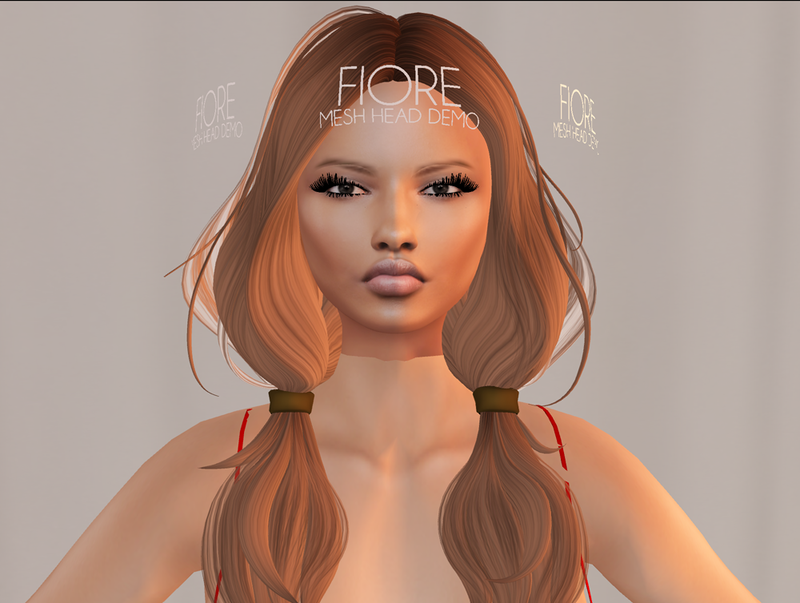 While on the hunt for my own new mesh head I thought I’d help you (and me!) out by taking a photo of a handful of head and skin demos. It’s only one head store and one skin store – but its a start! * This is not every Catwa head nor every L’Etre skin. * I did not even open the HUD when trying on these heads. These demos are straight out of the box. I fidgeted with the mesh eyes to make them look acceptable, but they are by no means perfect. I did not attempt to match the head and body skin. Click to make this chart bigger! So which one is your favorite? Leave a comment below! The next step in my second life body evolution was to figure out mesh heads. I’ve been seeing them everywhere. Every time I saw an avatar who struck me as exceptionally beautiful it turned out she was sporting a mesh head. To those landing on this page who are not aware of what a mesh head is : In short, you are able to make the standard Second Life head invisible and place a user created mesh head in its place. Why? They allow a much more natural shape, and lighting creates more natural shadowing in the features. I like to be a little bit exhaustive in my research – especially for items that are going to cost me a few thousand Lindens. So I set out to get my hands on just about every mesh head demo out there. It helped me to take a photo so that I could compare side by side, and I thought it might help you all as well. Now for the terms and conditions. These demo heads are right out of the box. Meaning I popped them on and took a photo. I did not spend time messing with their options to see their full capability. I know there are downsides to this as these appearances can drastically change. I just wanted first impressions. For all of the heads that did not come with a shape, I used my own shape and did not edit it. I used mesh eyes in a lot of these demos, and you will see that not all of them are perfectly placed. I didn’t take time to match skin tones to my body. My mesh body glitched mid shoot and you’ll see i went from mesh to non mesh. These are not all of the mesh heads that exist, but a lot of them. All of these are separate options for purchase – except for EVE. The three skins shown are all included in the one mesh head for EVE. This is regular me, no mesh head. So, I went with EVE for a few reasons. It was one of my favorite shapes, and right now it is also in its Beta phase. So it is only $850 Ls and I’m actually quite interested to see the evolution of it. For my first mesh head I thought this was a solid choice! I hope this helps visual people like myself narrow down the pool! Enjoy! The main recommendation here for getting started in Blender for Second Life is downloading Avatar Workbench. So that’s just what I set out to do, but when I got there I realized there were quite a few versions to line up with Blender versions. As we discussed in the last post, we want to stick with Classic Rigging instead of Fitted Mesh Rigging for the time being. The furthest back that avatar workbench offers is for Blender 2.49, which likely would have worked with 2.48, but it made me a little weary. Learning on old technology may be easier, because the technology is simpler. It just gets more advanced as the versions go along. But there’s no use in learning how to play the guitar on a ukulele when a guitar is just as readily available – even if it is a little more cumbersome. So, I deleted the old Blender and downloaded 2.72. I then downloaded the newest Avatar Workbench (which was for 2.71, but still works) and opened it up. Its like we opened a whole new program. Some of the basic features are available here, that we learned in CannedMushroom’s videos. But the vast majority of what I see on my screen is simply terrifying. So without hesitation I bolted to YouTube to find an updated blender tutorial. And thank goodness it exists. BornCG on youtube has a new series for fully new users to understand the Blender 2.7 series. While I’ve only listened to his ‘course’ introduction, I think this is going to be a good place to start for learning blender at our current version. There are 34 lovely new videos that I can’t wait to start on! Thennnn I’ll be able to hop back to the Avatar Workbench and understand it a bit better – and hopefully be able to touch it! 34 Videos will take me a while (especially this time of year), so if I don’t see you before then, Happy Holidays and a Merry 2015! Don’t worry, I’m still at it. Slowly as ever with the holidays knocking on my door – but I’ve got 10 lessons down. A million more to go? I have to say, I have made a few attempts before at learning Blender. About 6 years ago I even bought a book, but it wasn’t the right kind of instruction. I just jumped right into Clothing Mesh and failed. Or, lost motivation. I can safely say I have learned more in these 10 videos about the practice than ever before. But I do have to say it gets a bit boring. I came across this issue when I was learning to play the guitar as a kid. The music teachers books can be sooo mundane. I nearly dropped the lessons, but it saved my passion to start learning songs that I actually liked. SO. While I still obviously don’t know everything of what blender has to offer, I might as well get started on learning how to set up Blender for second life clothing creation, which means finding a skeleton. I need to keep the fire alive!! Clothing in Second Life has evolved drastically. Those prims that float around everywhere, can’t stand them. And those were even more advanced than the dawn of SL clothing with the painted on looks. I know about mesh clothing. But I thought there might be more to it. What is fitted mesh? What are the standard sizes (s,m,l,xl ect) that are in some clothing packages. What should I be making? I hopped onto the SL Forums and asked my question here. As I posted for clarification.. it seems as though fitted mesh (one mesh that resizes to fit all avatar shapes when put on) is the ‘newest thing’ but its very hard to get right. So it may be wise to start with standard sizes (which means just making many different size meshes, so that “all” avatars are accounted for). I’m not sure. I think I need to just worry about making ANYTHING on an avatar skeleton at this point, and going from there. I may be getting ahead of myself. So that’s where I need to start. Downloading skeletons, importing them. Nothing seems right yet. But that’st what I’m up to. When I figure out the perfect recipe to get things started, you know where to find it. I’m terribly eager to start my first Second Life object or outfit, but there’s no use in that if I don’t know how to use blender. Yes, blender is the program I’m using. Its free and seems to have a good following and a lot of options. There are a ton of different versions however, and I anticipate this being a bit of an issue when it comes to following tutorials. But we shall see! I want to be incredibly thorough in this learning process because I really do want this knowledge to stick, and I want to make sure I have all of the tools to make great clothing instead of just average clothing when the time comes. Well, i was just about ready to jump into sl clothing tutorials when I just searched google for a tutorial leading me to this page. The reason I ask is that if you are totally new to mesh creation, you really MUST learn the overall workflow involved with mesh creation in general before you even consider creating mesh clothing. You would be doing yourself a huge disservice if you don’t, and setting yourself up for a world of frustration. Alright Maeve, I’m sold. I followed her link to Canned Mushrooms. This guy has HUNDREDS of videos on how to work with modeling software, so naturally – overwhelmed. But obviously, we’re sticking with the Blender ones. Think of this process as taking a full semester class on JUST BLENDER. It really doesn’t matter which blender videos you watch, the point is to just absorb all of the information you can, and once we feel like we can make a pretty good object, we’ll dig into the clothing stuff. So today I’m starting, just picking the software and installing. Easy. Well, unfortunately these videos were made in 2009, which is quite a few releases back. To make things simpler, I decided to follow with the exact same software he is using in the videos. Then I can go back later and adapt to the new technology. I could see in the video that he was using Version 2.48a, but he was on a mac. I’m on windows, no big deal. Version 2.48 can be downloaded Here. I downloaded blender-2.48a-windows64.zip first. It was just a folder of files, no installing needed. But when I clicked on Blender it said I needed Python on my computer and closed. I figured there was another version that didn’t require this. I uninstalled and then downloaded blender-2.48a-windows.exe, which installed fine – but still said I needed python. Ugh. I downloaded version 2.7.8, still didn’t work. Then I downloaded the version blender was nagging me about, 2.5.2, still no go. A quick google search suggested I was mixing 32 bit and 64 bit programs. Python was definitely AMD64, so I realized my second download of blender was 32. I went back to the 64 file and bam, we’re finally rolling. I still have a pesky command prompt looking window that stays open and lets me know that python is working, and when i click out of it the program closes. I’m not going to worry about that right now, but I’ll eventually figure out why that’s happening. Now on to the blending!